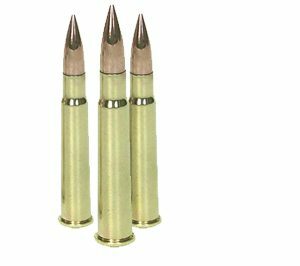 Two .303 cartridges are available, one with a Canadian MK8Z Ball bullet and the other with a British Soft Point (SP) bullet. Both bullets are made with a lead core and a copper jacket. Brass cartridge cases and boxer primers are used.